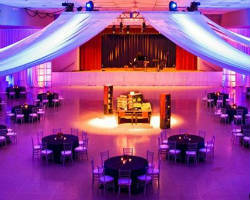 If you’re looking for amazing wedding venue, the San Antonio Shrine Auditorium is perfect to host your magical wedding. 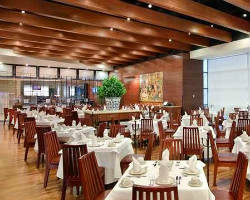 The venue transforms into an elegant ballroom or a small banquet hall. It can hold numerous guests and can easily transform into whatever setting you want to host your special day. 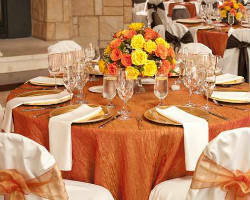 The venue has rave reviews and offers affordable and cheap prices, depending on what type of event you have there. It’s spacious and full equipped to hand even the largest wedding, but can still provide an intimate setting if you don’t want anything too extravagant. If you’re looking for beautiful wedding venues in San Antonio, the Hilton Palacio Del Rio should be the last place you look! As one of the top wedding venues in Texas, this hotel will make sure that everything is great when celebrating your special day there. They have the perfect location for every style, offering you fabulous views of the River Walk and Downtown Skyline. 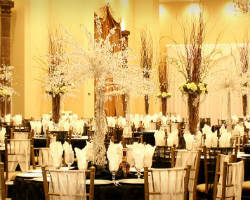 Their ballrooms boast stunning décor and their prices can fit into any budget. There’s even an elegant rooftop garden and gazebo that overlooks downtown San Antonio! If you’re looking for affordable and beautiful wedding venues, look no farther than the San Antonio Botanical Garden! This beautiful and unique outdoor venue is the ideal place for your wedding. The San Antonio Botanical Garden offers a wide variety of venues for your event and can accommodate events of all sizes. As one of the best wedding venues in San Antonio, the San Antonio Botanical Garden should be on your short list of venues to host your special day! Once you visit, you’ll fall in love and want to sign the contract! If you’re looking for affordable and beautiful wedding venues, look no farther than Emporium By Yarlen! The reception hall has numerous banquet rooms that are all beautiful and unique. 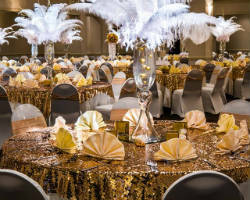 Its Renaissance Room is great for weddings or even a Quinceanera with friends and family, while its Baroque ballroom boasts stunning décor and can seat up to 200 guests. As one of the best wedding venues in San Antonio, TX, Emporium By Yarlen should be on your short list of venues to host your special day! Once you visit, you’ll fall in love with the party venue and immediately want to sign the contract! The perfect wedding chapel and venue in Texas has to be the Eilian Hotel & Spa! You’ll experience the best in luxurious and unforgettable décor at this first-class wedding facility that offers Tuscan-inspired beauty and design. There’s even a stunning backdrop of the gorgeous Texas Hill Country that will look amazing in your pictures! 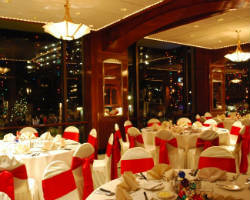 The hotel offers exquisite grand ballrooms to intimate outdoor settings. As one of the best San Antonio wedding venues, you won’t regret choosing the Eilian Hotel & Spa as the backdrop for your special day! Celebrate your dream wedding at one of the best wedding venues in San Antonio, TX by choosing the beautiful Emily Morgan Hotel! You deserve the perfect wedding venue for your perfect day and their seasoned wedding planners boast great style and great attention to detail. The hotel is an elegant party venue for any type of occasion and is a great place for Quinceaneras, too! Their dedicated team will help you customize every detail surrounding your special day so that it’s unique and wonderful! Your wedding day is one of the most important days of your life so choosing the right party venue is crucial. Make the right decision and choose Embassy Suites San Antonio Riverwalk-Downtown because they specialize in giving brides the perfect backdrop for the wedding of their dreams! Their Majestic Ballroom features amazing décor, while their outdoor Riverwalk Terrace is the perfect garden wedding venue. They also offer Concierge Wedding Services with special touches to make your wedding that much more special. 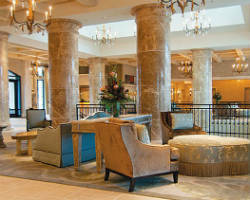 The hotel has great reviews from many brides and should definitely be at the top of your San Antonio wedding venue list! Unique and amazing is how you’d describe the banquet halls at El Tropicano Riverwalk Hotel! They seamlessly blend tropical with traditional décor that your guests will love. Situated on the famous San Antonio Riverwalk, the hotel offers you all the perks and convenience of being downtown and boasts some f the best prices in Texas. The hotel offers contemporary design and versatile ballroom layouts that make it a desirable venue for brides all year round. They even offer discounts when you book during selected months!